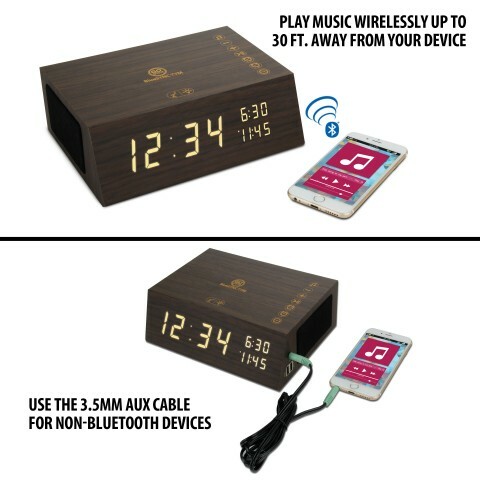 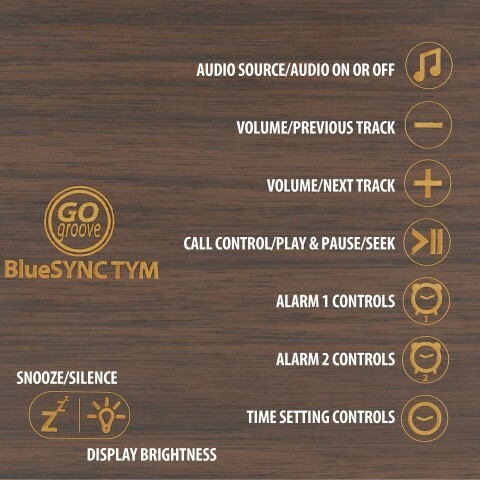 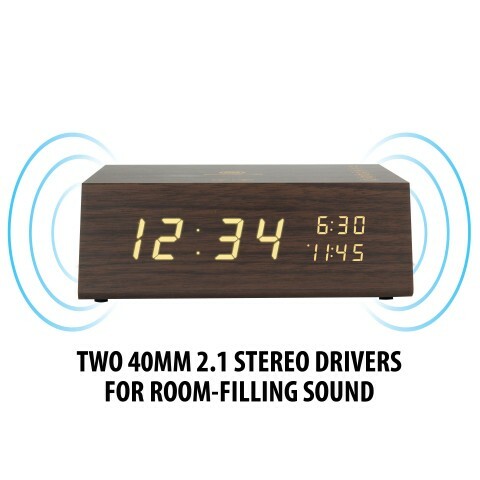 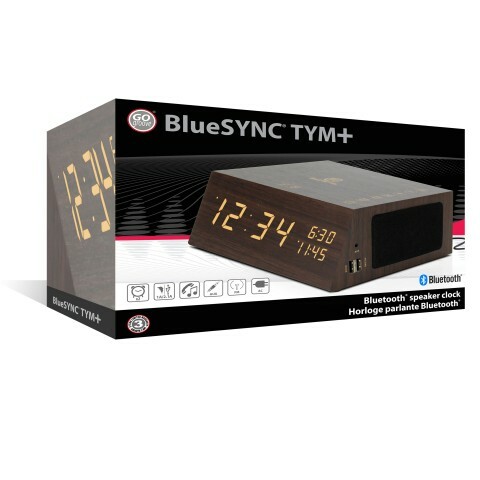 The TYM bluetooth alarm clock features two USB ports (2.1A & 1A) so you can charge your phone and tablet directly from the clock. 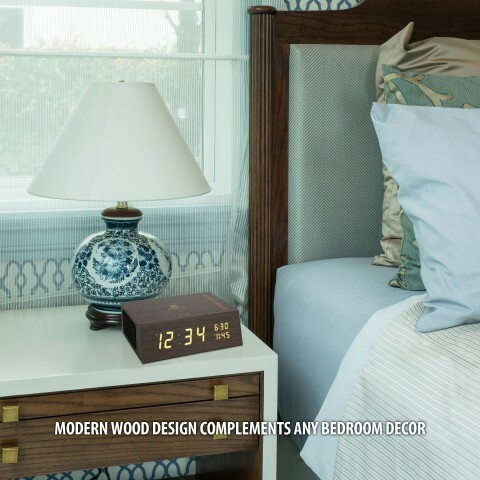 Set alarms are easily seen right on the display so you always know when and if your alarms are set correctly. 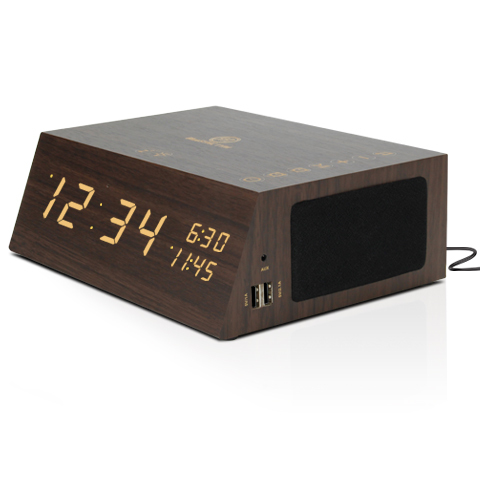 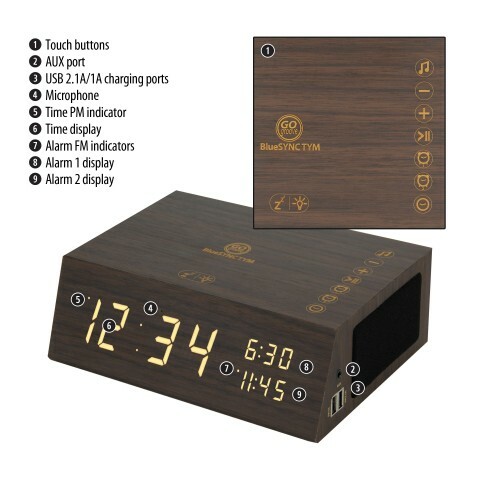 The wooden clock style of the TYM looks stylish in any room with rustic charm, yet modern design. 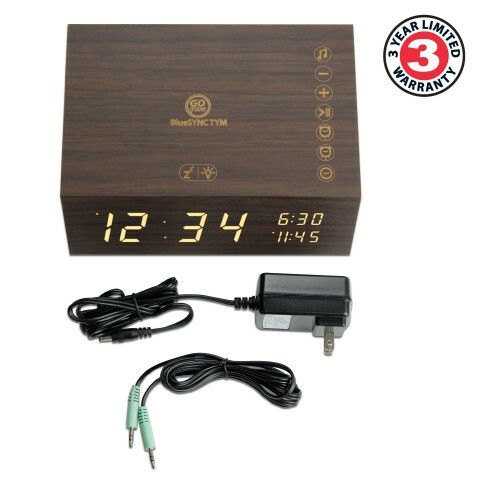 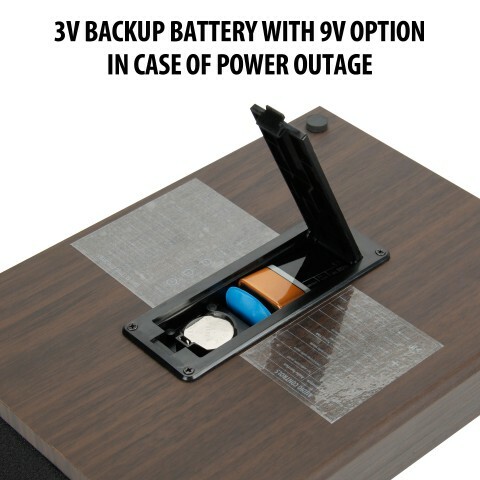 A built in battery backup ensures that even during a power outtage, your alarms stay in memory, eliminating the need to reset your alarms and the time everytime you unplug the clock.